These were all seedlings I gathered last summer doing landscaping. All would have been thrown out as weeds in a car dealer's mulch beds. Since Friday the buds on all but the one farthest to the left have opened up. I believe they are all ashleaf maple, something of a weed tree around here which kind of looks like poison ivy. Jack, Nice start. 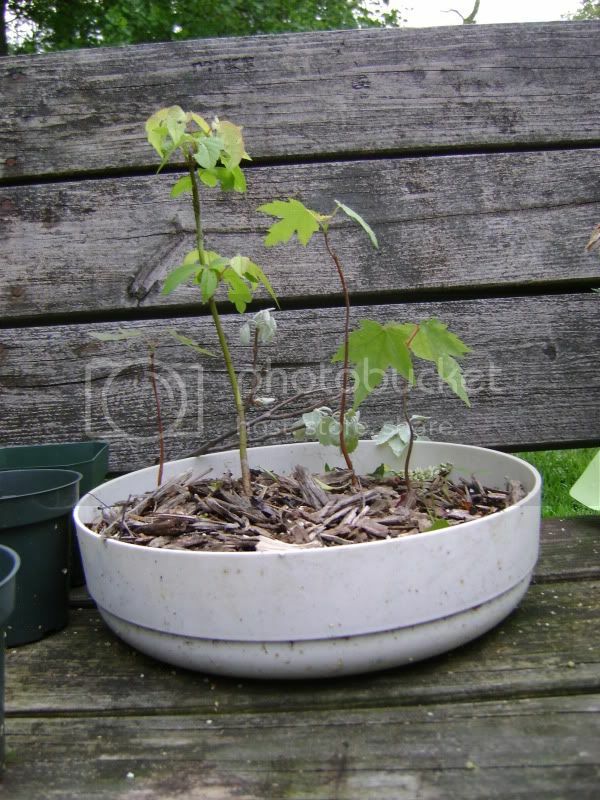 Ashleaf maple? I will have to look that one up. Don't know it, or how well it develops, back buds, adjusts to container growing. But good luck with the group planting. It appears that you have 4 saplings (whips). I think you should add a 5th. Groups should be odd numbers - except when it is 10 or more. And keep a spare or 2 on hand as replacements if needed later on. Also consider this - good forests or groups look much more realistic or convincing with trees of varied age, caliper, size. So, after a few years of these trees growing out and bulking up you should then add new small ones to finish off the composition. I have no pictures but I'm just starting my first group also. I'm using 10 young European beech ordered from Bill Valavanis in Rochester, NY at www.internationalbonsai.com. 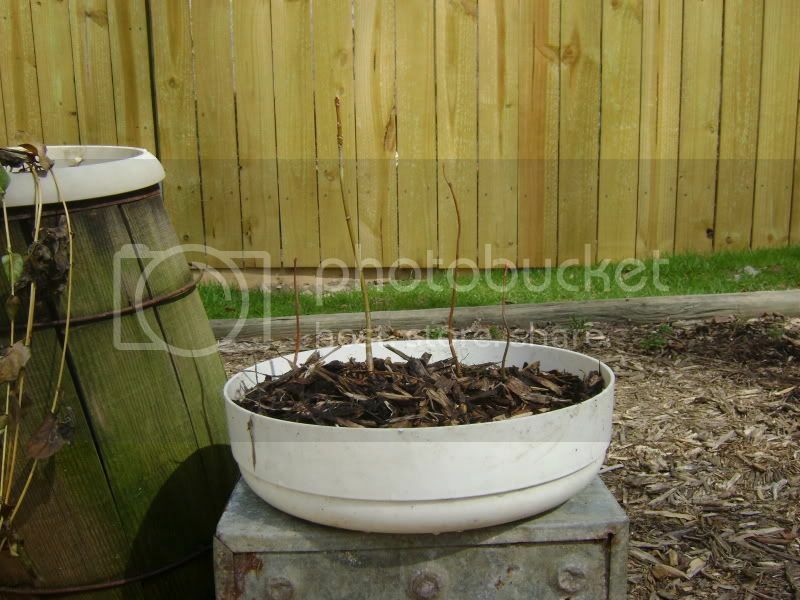 I will plant them in the garden for the growing season, then into a training pot this Fall. Plan to repeat this for 2-3 years to grow them out. I'm as excited as a kid !! Last edited by TomM on Sat Apr 17, 2010 9:41 am, edited 1 time in total. TomM wrote: Jeff, Nice start. 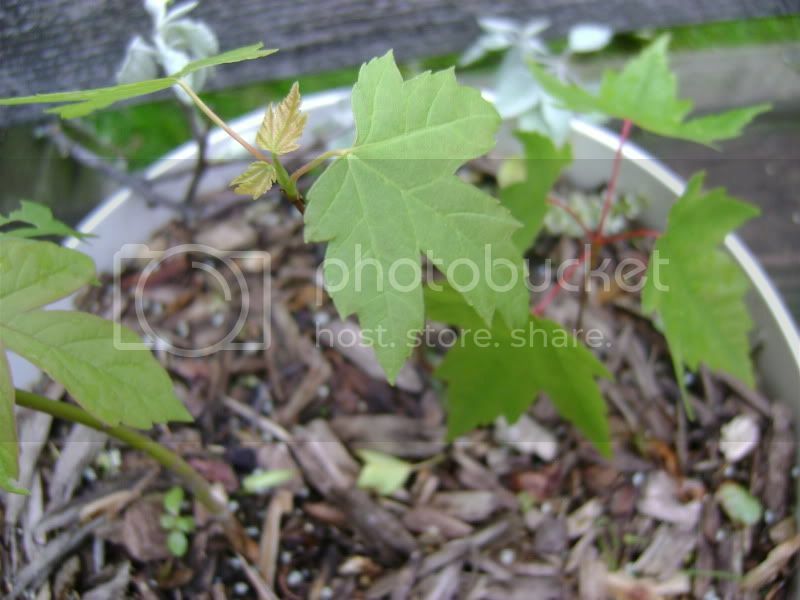 Ashleaf maple? I will have to look that one up. 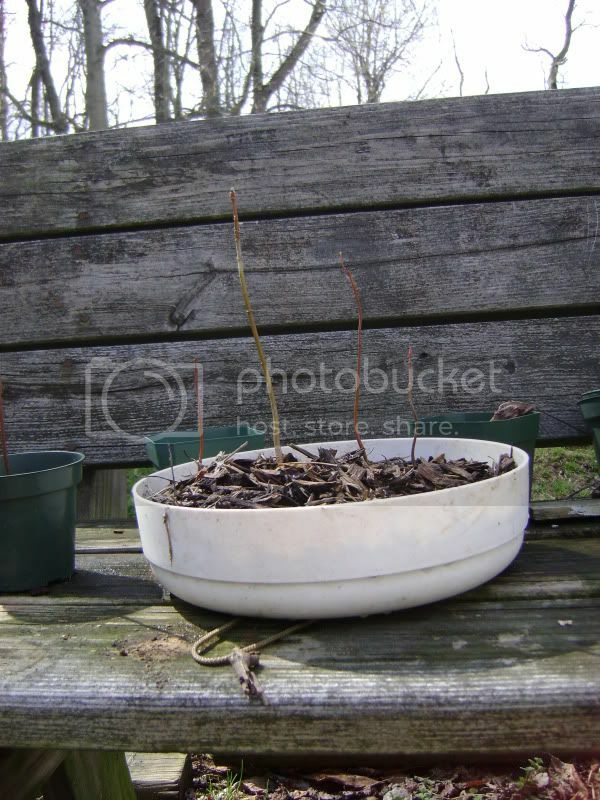 Don't know it, or how well it develops, back buds, adjusts to container growing. But good luck with the group planting. Thanks for the info, you have more patience than myself, letting your trees grow out first. I share your Spring enthusiasm, except I won't get to see my trees again until May. My only experience so far with Ashleaf is with these. They are considered weeds around here, so I assume they are pretty hardy. They survived being pulled up from mulch beds, stuck in a cooler for 8 hours, and then a harsh winter in tiny pots, so I'm optimistic. I have 2 or 3 extras on hand, I didn't include them because I wasn't sure if they would survive. These four were the only ones with healthy, colorful buds. Luckily, they are absolutely everywhere around here, so I can always find more in my woods. I will probably end up adding one more like you said, maybe one in the back to fill the hole in the middle. I'm still kind of iffy on how I feel about the general outline of the planting. As of now I'm not really all that worried about overall composition because they are so young. Like almost all of my trees, this planting is kind of experimental. I'm getting my feet wet in a lot of different areas to keep myself busy. JTred, I have a suggestion - you might want to try. An interesting experiment would be to collect a few (3-5?) 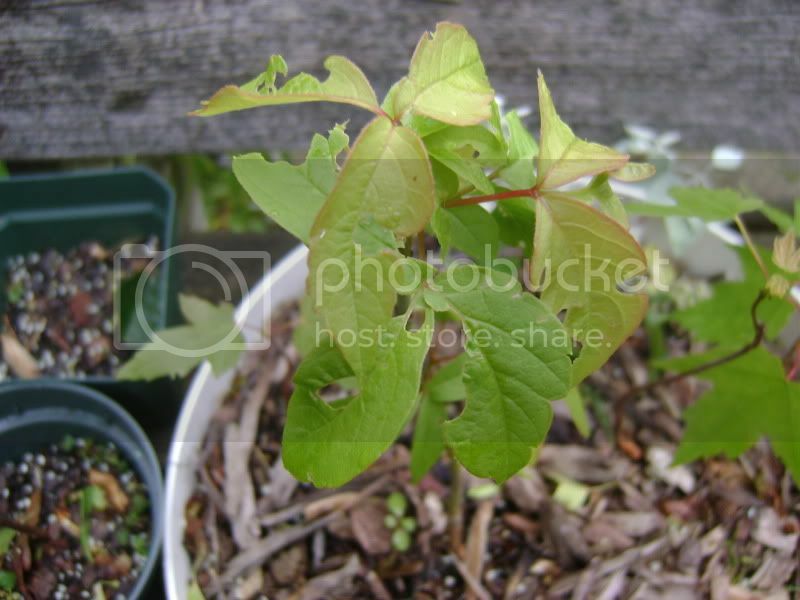 of these young volunteer seedlings, while still very small, and intentionally clump them together in a training pot. Bind the trunks together to form a future 'multi-trunk' tree and develop the group that way over a few years to see what happens. Meanwhile you can train & prune them as one unit. I saw an awesome trident at a show somewhere and learned that this was the technique used. PS I just edited my earlier post above and changed the "jeff" to "jack". Sorry - my error. It's funny you should suggest this, because I am already trying it. 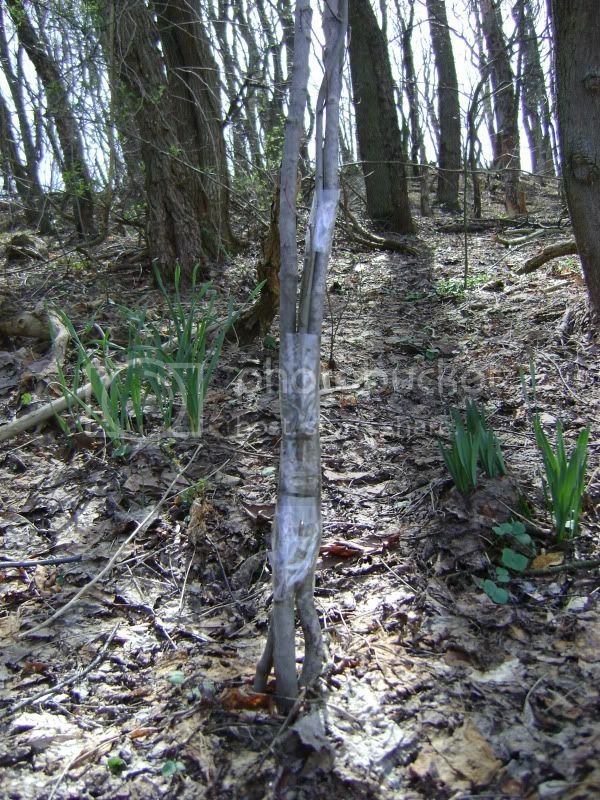 In the fall I dug up 4 saplings (about 7' tall and about 1' diameter each) and bound all of the trunks together. I put them back in the ground and where they will stay for a few years. I was inspired by a blog where someone made an enormous maple bonsai out of hundreds of saplings spiraled around a shaped stump. Later he did it again with a wire form instead of a trunk. I found a picture of it. That is a fantastic idea. 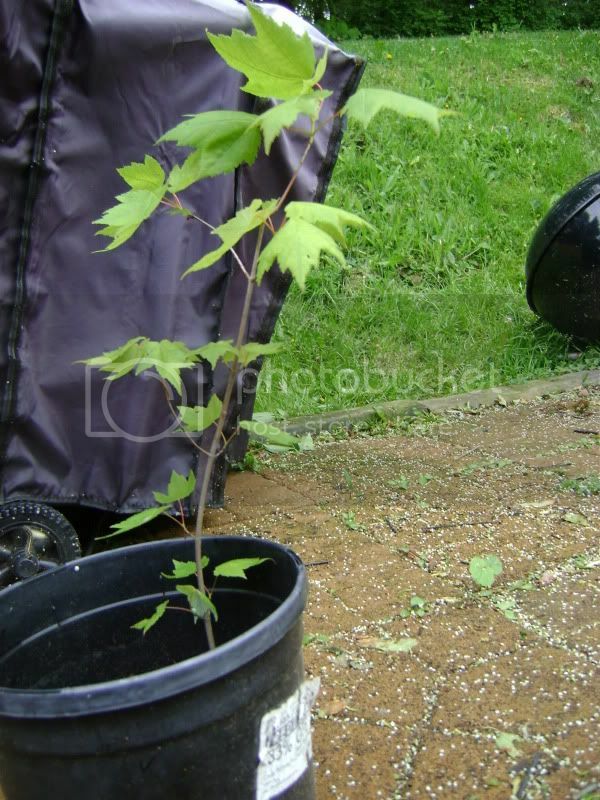 I live in Massachusetts and we have tons of maples seedlings growing everywhere. People just pick them out and throw them away. Cool idea! I heard of doing it with ficus, but never maple. I'll have to give it a try. I have bazillions of maples here. I found the blog where I got the inspiration. It was the trident trunk on Dugz Bonsai. He did a really good project with an olive stump too. Just thought I would update now that they have leafed out. I was wrong about the ID, only one is an ashleaf maple, the big one in the center-left. Since it doesn't match, I may get rid of it. 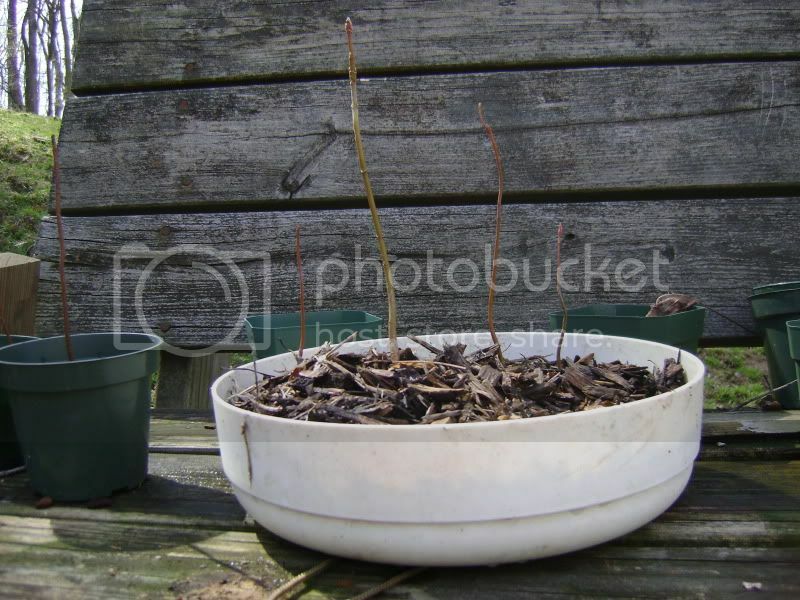 I will probably replace it with a larger sapling I have, which I will chop down to the size that I want.